ALLIANCE, Ohio - The Mount Union wrestling team hosted the 2018 Purple Raider Open in an all-day event on Sunday in Peterson Fieldhouse. Two Purple Raiders placed as recent transfer Jairod James (Bedford/Bedford) led the team going 3-1 to finish in third place at 174 pounds. Sophomore Conner Homan (Loveland/Loveland) went 2-3 with a pin to take sixth place at 165. 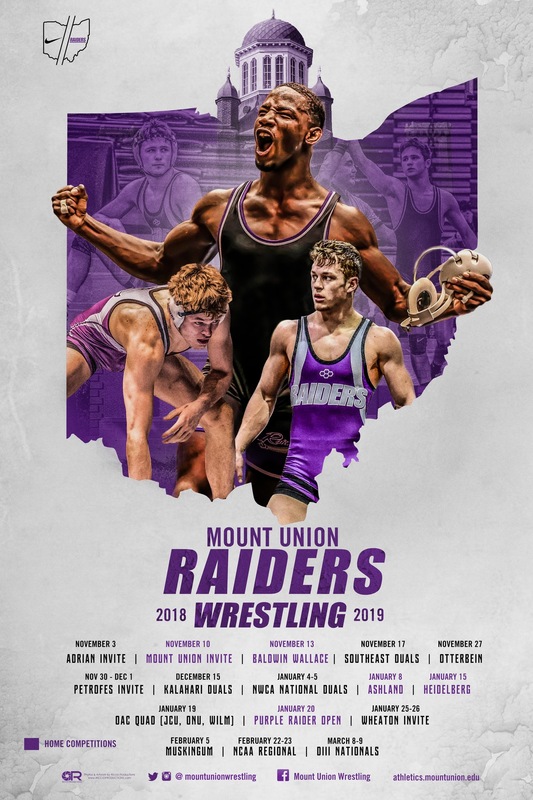 Mount Union will stay home and return to Ohio Athletic Conference dual action against Muskingum on Tuesday, January 16 at 7:30 p.m. for Senior Night.